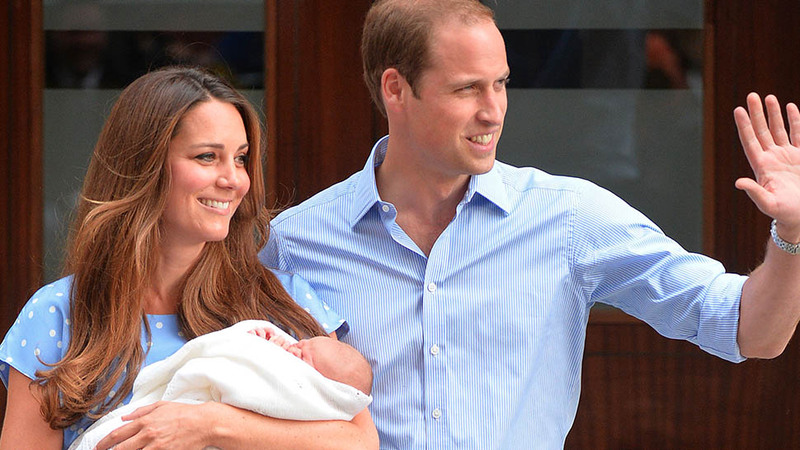 As Kate Middleton's due date with baby number three draws closer, we're taking a look at what labor and delivery are like for royal moms. 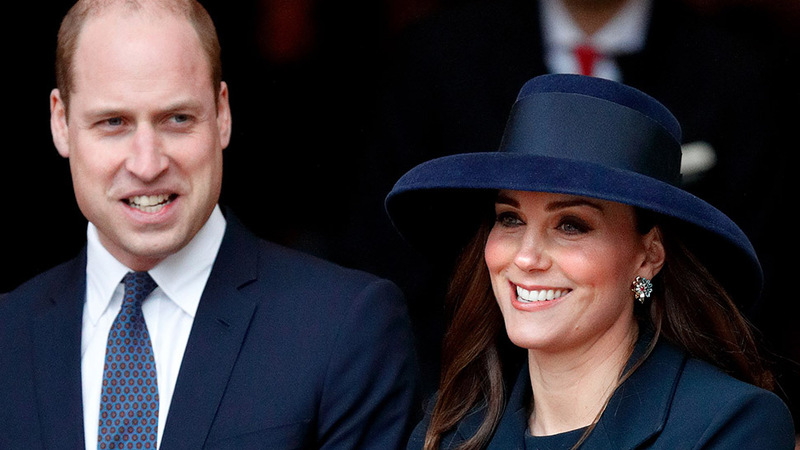 With the birth of the Duke and Duchess of Cambridge’s third child just around the corner, it’s time to look at what exactly goes down behind closed doors—from the first signs of labor to introducing the newest baby prince or princess to the world. 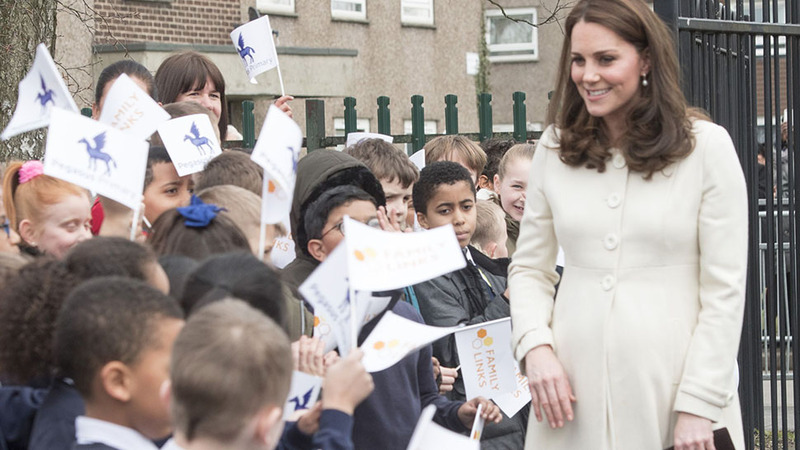 HOW WILL KATE GET TO HOSPITAL? There probably won't be police or flashing lights in the lead up to the arrival of the new baby. Most royal mums-to-be (like their non-royal counterparts) are quietly whisked to the hospital by car with their husband by their side. 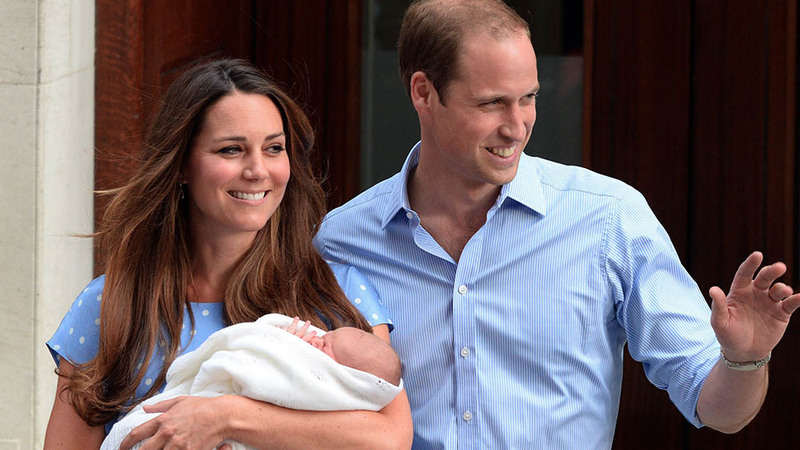 Diana and Charles were driven in a police Land Rover before the princess gave birth to Prince William, and over 30 years later William and Kate were dropped off by car at the side entrance of the hospital for the birth of baby George. One exception to that pattern: Sophie, Countess of Wessex collapsed at home a month before her due date in 2003, and she traveled to the nearest hospital by ambulance. WHAT IS IT LIKE IN THE LINDO WING OF ST MARY'S HOSPITAL? Previous patients have described it as comfortable but not luxurious. In the rooms where Kate will give birth, here are soothing pastel tones, a comfy armchair next to the bed, and a sofa-bed for partners to take a snooze. Meals are cooked by chefs, and a waiter comes round every morning to take orders for breakfast, lunch, and dinner. There’s also a wine and champagne list, and the option of afternoon tea. Rooms start at a minimum of £5,215 a night (roughly $7,325), and suites are available if you apply for them—and are said to cost around £10,000 a night ($14,0445). WHO IS IN THE ROOM FOR THE DELIVERY? Once upon a time, it would be a cast of many, but not the father. Assorted medical staff and ladies-in-waiting were joined by ministers and privy counselors who were there to ensure a stillborn baby wasn’t replaced by another who was not of royal birth. These various witnesses were eventually replaced by just the Home Secretary, until Prince Charles’s birth when the queen’s father, King George VI, abolished the practice. 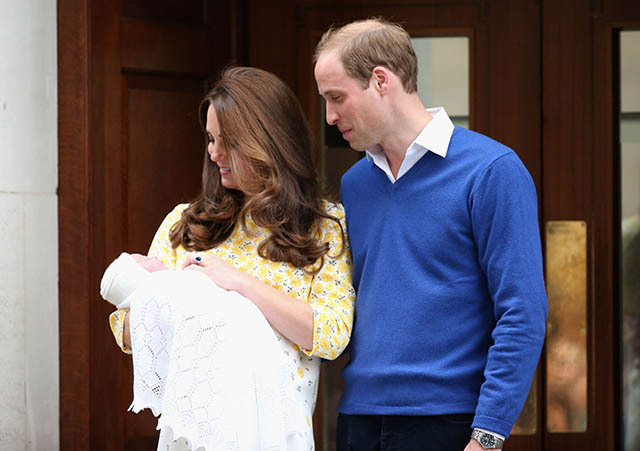 Kate will hopefully have a similar experience to the ones she had with her first two children—and will be supported by all or most of the same team, including the queen’s surgeon-gynecologist Alan Farthing, the royal family’s surgeon-gynecologist Guy Thorpe-Beeston, neonatologist and pediatrician Dr. Sunit Godambe, physician to the queen and head of the medical household Professor Huw Thomas, and a team of midwives including Jacqui Dunkley-Bent and Arona Ahmed. The queen was first to visit in the case of her first grandchild Peter Phillips and her grandson Prince William, as he is direct heir to the throne–although she attended without Prince Philip who was traveling at the time. However, when Prince Harry was born, the Queen waited until her newest grandson was home from the hospital; Harry’s first visitor was his big brother William. 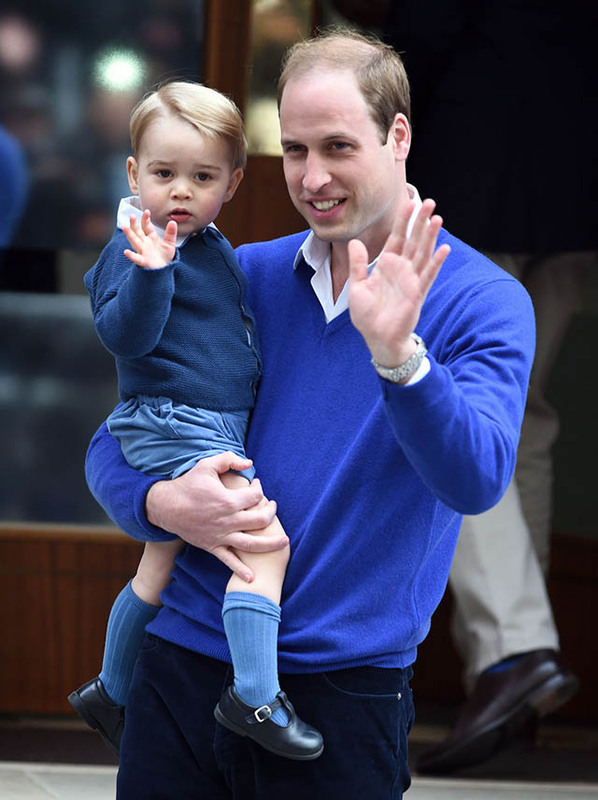 Three decades later, Prince George’s first visitors were his maternal grandparents Carole and Michael Middleton, followed by–in a break from protocol–his royal paternal grandfather Prince Charles and his wife Camilla, Duchess of Cornwall. 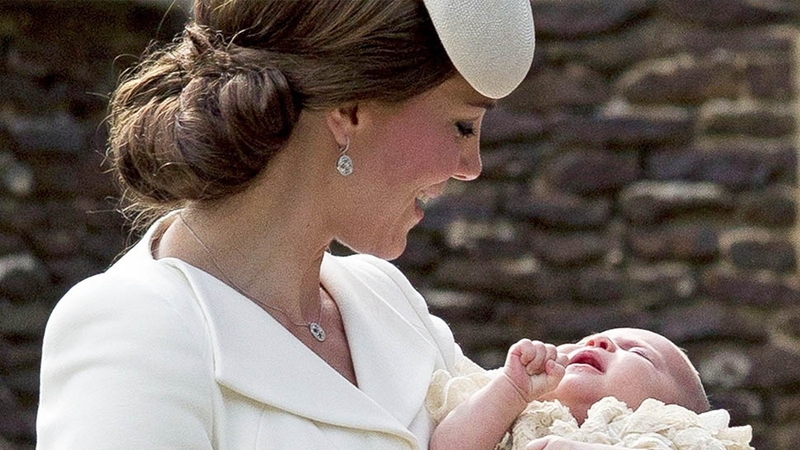 When Princess Charlotte was born, her first visitor was big brother George. 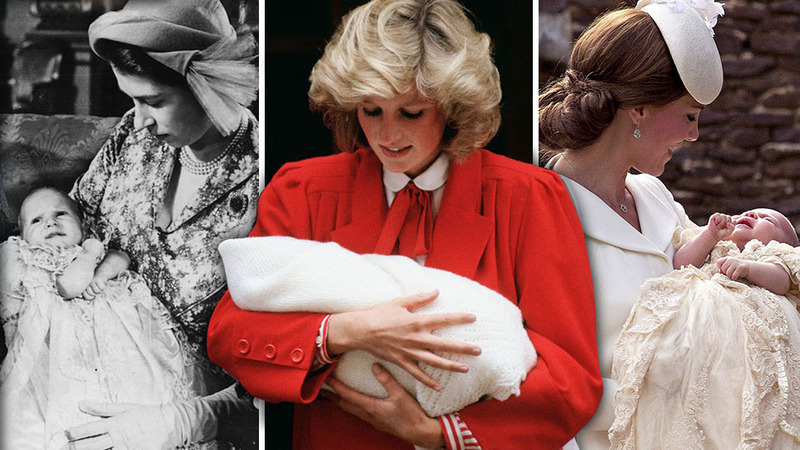 WHAT WERE DIANA'S DELIVERIES WERE LIKE? Diana told her biographer Andrew Morton, "William had to be induced because I couldn’t handle the press pressure any longer." The princess apparently stood when she delivered her first son. Natural childbirth activist Sheila Kitzinger said later, "I was asked to advise the private Lindo Wing of St Mary’s in Paddington, London on what equipment it should provide so that she could give birth in an upright position. I said that Charles looked strong enough to hold her. And that is what happened." 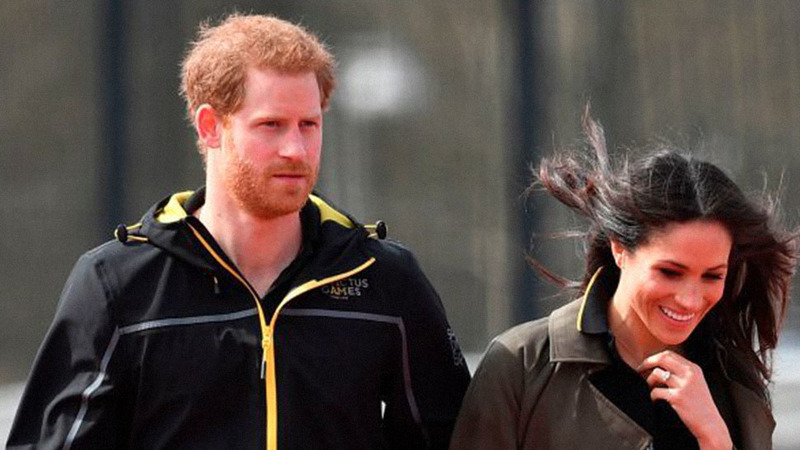 Two years later Prince Harry was born a week early. Diana read a book for the first six hours of her labor, while Charles fed her ice chips and a nurse administered lip balm. DOES KATE REALLY GET HER HAIR AND MAKEUP DONE BEFORE LEAVING THE HOSPITAL? It’s a seemingly trivial aspect of such a monumental event, but given the bank of press outside the hospital—and the fact the pictures will surface again and again for the rest of the child's life—the royal mother is likely going to want a bit of blush and something easy and bright to wear. Two of the first people to see Kate after she gave birth were her hairdresser Amanda Cook-Tucker and her PA/stylist Natasha Archer. Both outfits Kate wore to leave the hospital after the birth of her children were by Jenny Packham. The forget-me-not blue and white polka dot dress she wore to leave with Prince George was a nod to a similar dress Diana wore when she left the same hospital with Prince William over 30 years earlier.